‘Tis the season … to get into more credit card debt. A significant percentage of Americans still have not paid off their credit card debt from last year’s Christmas shopping season, cnbc reported on November 17. Eight percent of baby boomers, 16 percent of generation X shoppers, and 24 percent of millennials fall into this category. The report, which cited new data from NerdWallet’s 2017 Consumer Holiday Shopping Report, highlighted a concerning trend in American consumerism that is contributing to the economic downfall of the United States. According to the report, most Americans are planning on spending about the same amount on Christmas gifts and holiday shopping as they did last year—about $660 on average. For some, this will only add to the debt that they are still paying off from last year. Getting into more debt when you are already in debt is not a sustainable way of living. The NerdWallet report points out that the fact that millennials have the largest percentage of leftover debt is particularly worrisome. This age group is still working on building credit. Unsustainable spending will lead to bad credit ratings, which will make it harder for this young generation to make larger purchases like cars and homes in the future. Over a quarter of U.S. holiday spenders last year didn’t make a budget before they went shopping. Twenty-four percent of shoppers said that they spent more than they budgeted for during the 2016 season, and it will probably be no different this year. Approximately 16.7 percent more holiday shoppers got into credit card debt last year than holiday shoppers in 2015 did—56 percent in 2016 compared to 48 percent in 2015. Total U.S. credit card debt is over $1 trillion—and counting. Personal debt per citizen is an average $57,125. But U.S. citizens are not the only ones incurring massive debt. The national debt is $20 trillion. According to the U.S. debt clock, U.S. total debt is over $68 trillion. The United States economy is wallowing in debt on an individual and national level. A few hundred dollars of credit card debt may not seem like a big deal. But when both the individual citizens and the federal government of a nation are spending more than they have coming in, disaster is on the horizon. Consumer spending is the backbone of the American economy. And more and more, society is geared to encourage us to spend. The commercialization of Christmas is particularly demonstrative of the importance of consumer spending. Months prior to Christmas—even before Thanksgiving—advertisements start plastering the airwaves. “Buy now—pay later” and “no payments to 2007” have become synonymous with our guilt-free view of living for the present moment. America’s consumption-based economy is at the tipping point, and increasing debt payments might be the bump to push it over the edge. As Martin Cantor, director of economic development with Sustainable Long Island, an advocacy group, says, “No matter how bad the economy has gotten, everybody pointed to increasing consumer activity to sustain it …. If that goes, there’s nothing left” (Newsday, Dec. 11, 2005). That was only a couple years before the 2008 financial crisis. Although the economy rebounded after the crisis, the situation we are in now is eerily reminiscent of the time before the 2008 crisis. America’s economy is booming. If you trust the numbers, employment is nearly full. Stock prices are near record highs. Consumer confidence is up. And President Donald Trump says fantastic days are ahead. Yet with all the supposed good news, how come so many people just can’t seem to get ahead? Here is one big reason. The majority of Americans continue to live beyond their means. 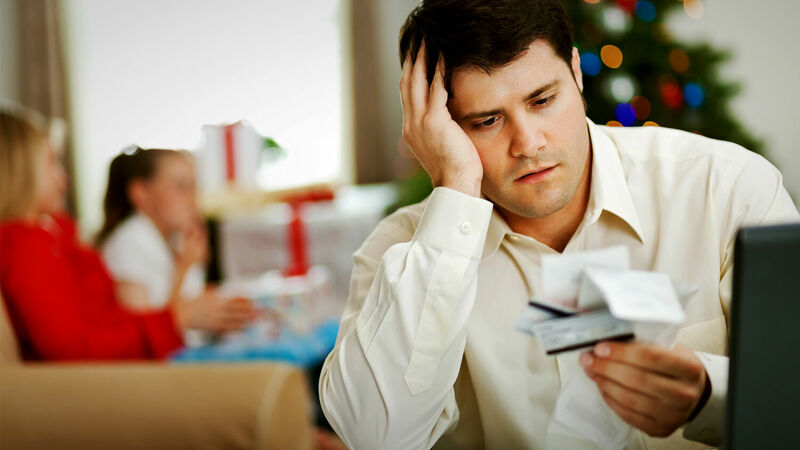 Accumulating more debt this holiday season is not going to help the issue. It will only add to our national money woes. If you are struggling with your finances like so many Americans, read our free booklet Solve Your Money Troubles! It provides God’s perspective on finances and the only true solution to our national debt problems.